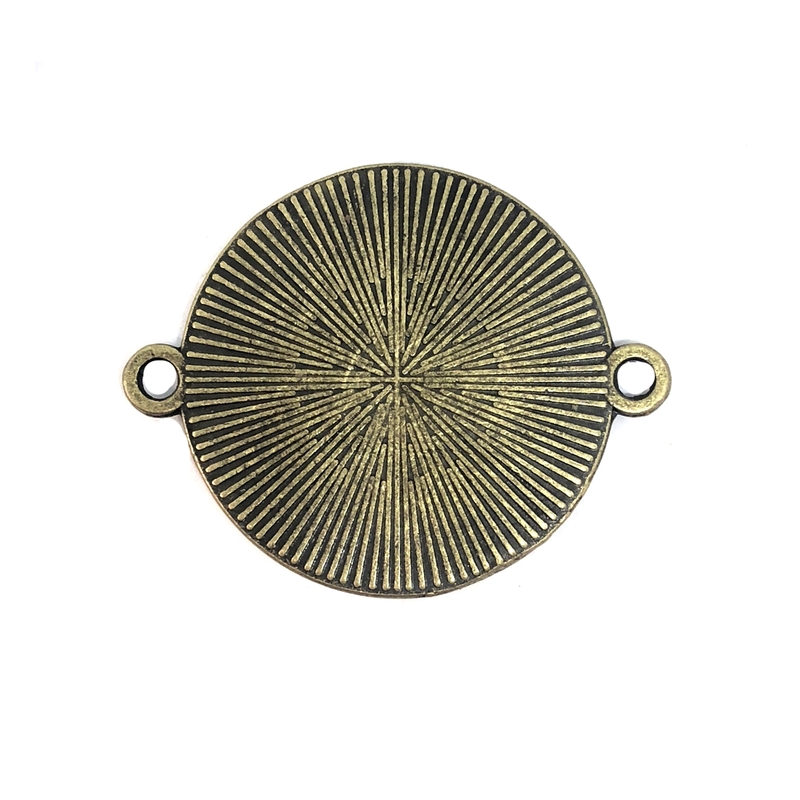 Round Connector Bezel in cast zinc with a bronze finish, circle connector. 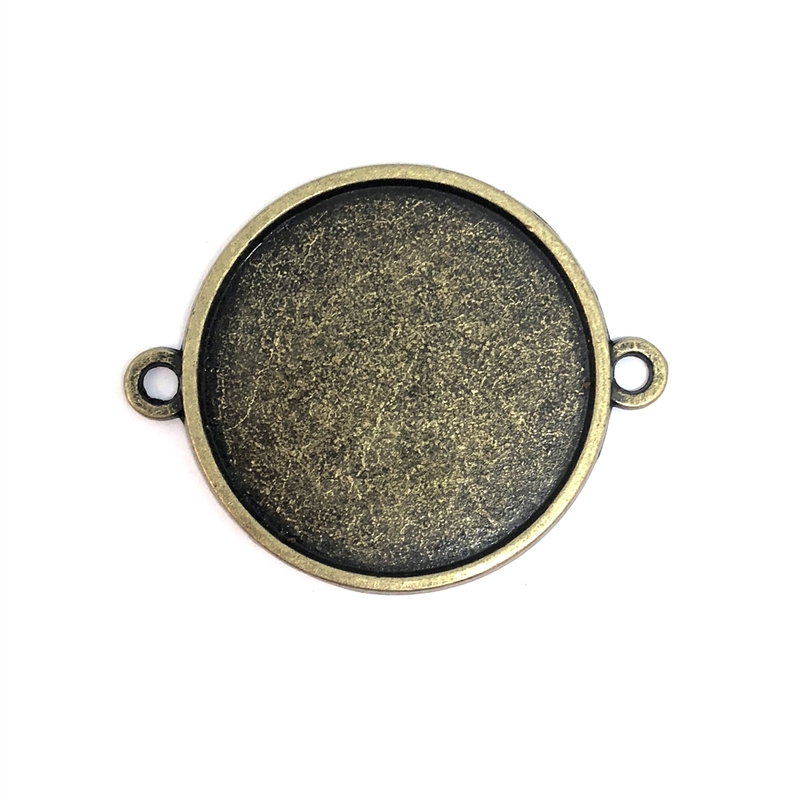 25mm mount, perfect for use with any 25mm stone, cameo or cabochon, or a great piece for Ceralun! Finished beautifully on the back as well. Measures 35 x 28mm outside diameter (including connecting holes). Sold by the piece.